This site was designed to showcase the e-books Creators' publishing branch produces, as well as the publishing company as a whole. It is both a product page and an advertisement for potential authors. This site was built to combine several publishing brands and offer one landing page for anyone looking for Creators Publishing information. The site is located at creatorspublishing.com. The client is Creators Publishing, the e-publishing branch of Creators. The publishing division is split into multiple imprints: Sumner Books publishes mainly hobbyist tobacco books, Baily & Bauer publishes comic strip compilations and other comedy content, the main branch publishes lifestyle and political commentary books written by Creators talent, as well as some novels. I implemented the site based on Catherine DiGiacomo's design. 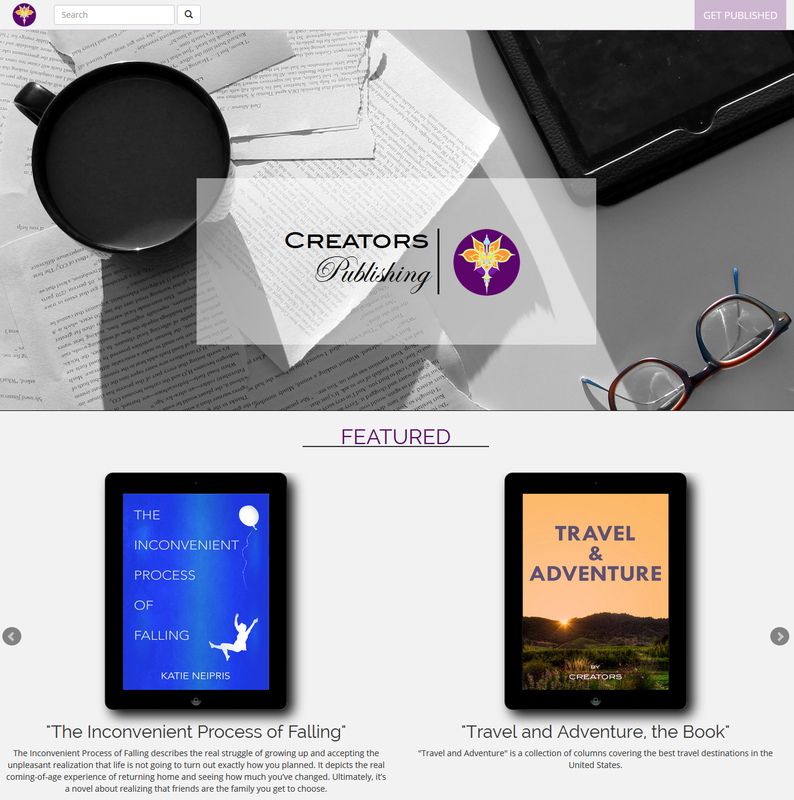 Like other Creators projects, the publishing site uses PHP and CodeIgniter on the back-end. It is powered by a MySQL database. On the front-end, the site uses Bootstrap and jQuery. This is a pretty straight-forward showcase site. 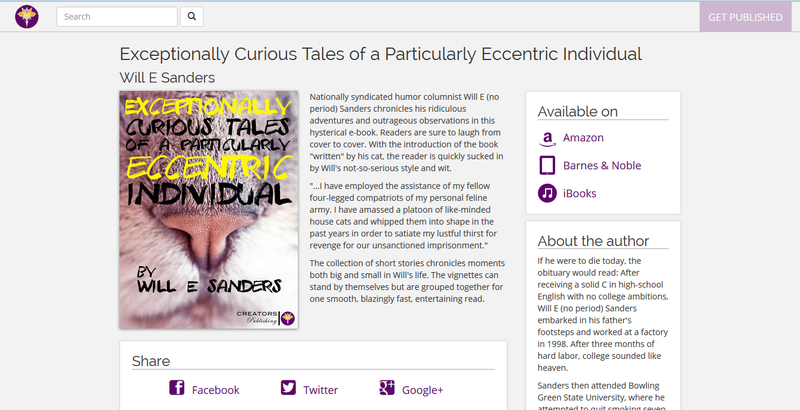 The homepage displays new books from various imprints. The product details and author details pages display all the relevant information about their products in a simple format. The goal of the site is to sell books, so vendor links are prominently displayed.